HomeCool StuffCan You Solve This Tricky Maze Puzzle? Chart a path from the starting square in the top-left corner to the ending square in the bottom-right corner. 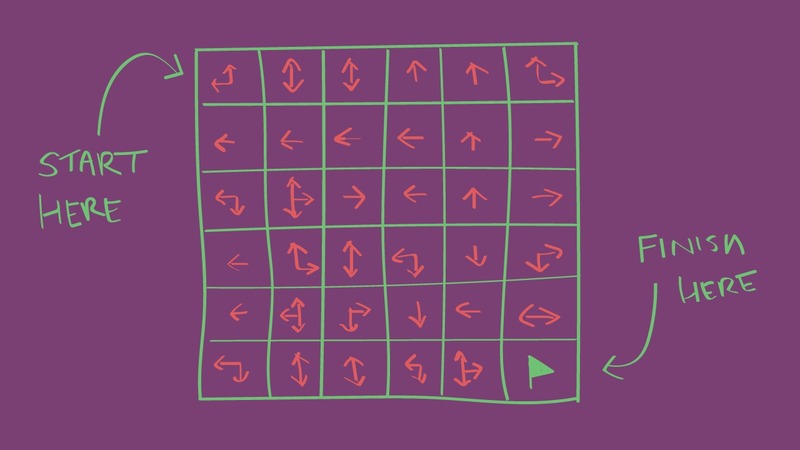 You can move horizontally or vertically, but you can’t move in the direction that the arrows on each square are pointing. You can’t use the same square twice. The answer will be posted on March 15. Beat it after a while. I solved it in about 2 minutes, it’s not that hard.